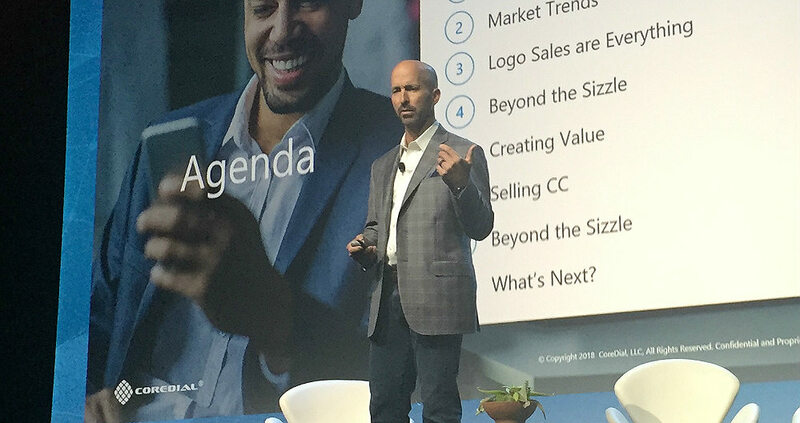 White-label SaaS provider CoreDial is shaking up its partner program to introduce tiered rewards. The cloud communications provider, which partners with more than 500 MSPs, VARs and IT solution providers, has divided its program into three categories: rising stars, fastest growers and top performers. The incentive program uses quarterly and annual revenue growth to award points that partners will use to access marketing, training and sales resources. “The program is really designed to fuel that growth by providing them with the incentives, with the recognition, the resources that they need in order to do that,” said Brandon Olson, director of marketing and communications. Ben Humphreys, president of the CoreDial partner Simplicity VoIP, said his company has been doubling its growth each year thanks to CoreDial. Colleen Schmidt, CoreDial’s director of partner success, told Channel Partners that the program changes came in part from talking to partners about their financial objectives and their plans to grow their business. “A lot of that feedback we got during those conversations was around the fact that they didn’t have their own marketing in-house, so they didn’t pay anyone to do it. It was really a lot of word-of-mouth. A very small sales force to most degrees,” Schmidt said. Two main requests arose from the conversation: a lead-generation program and help with selling and marketing. Schmidt said the new program offers a reward for growth and fosters further growth. CoreDial CEO Alan Rihm sat down with Channel Partners earlier this year to talk about his vision for the company’s partners.